When you or your kids get started in music lessons, you’re probably thinking about the benefits you can experience like mood boosts, musical knowledge and the ability to read music. Not to mention the fun that can be had! But, did you know that playing music can also relieve stress? Studies have shown that listening to music can help the body process its automatic stress response better, which can lead to decreased stress and improved means of responding to stress. Now, we know that listening to and playing music isn’t going to end stress entirely, but it can definitely help decrease and control it! 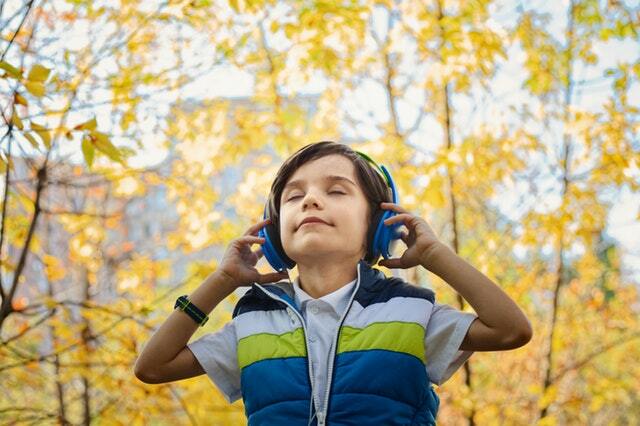 How does music relieve stress? When you feel stress your nervous system releases hormones, including adrenaline and cortisol. These hormones work to keep your body tense, stressed and uncomfortable. Studies have shown that listening to and especially playing music helps to reduce the presence of these hormones much faster than if music is not present. Music can also serve as a distraction from the situation that is causing you stress. When your mind is focused on the music rather than the problem, it gives your body a chance to lower your heart rate, stabilize your breathing and regulate your hormones. At Capstone Music Burlington, our focus is on teaching at your level and with your objectives in mind. Want to become a concert pianist? Want to live your lifelong dream of just playing tunes for your family? Start here! The key to using music as a way to relieve stress is to not put more pressure on yourself when playing. Let go of the need to get a sequence ‘just right’ and focus instead on just having fun with it. Making your brain work to read the music and hit the right notes can just increase your stress instead of relieve it. Rather than reading the notes and playing them, have fun just plucking at keys and listening to the tune. Even if it sounds absolutely terrible, it’s still working! Don’t wait until you are stressed to play music. Incorporating music playing into your week (or better yet, into your day!) can help rewire your brain to feel the positive effects of stress reduction, even without picking up your instrument. When you are stressed, the last thing you probably want to do is pick up an instrument and focus on how to play it. But even just forcing yourself to pick it up and just play some non-sensical notes can help to relieve stress. This is the easiest instrument to play without any experience. You don’t need to know how to play a song to enjoy the piano, just hitting the keys and making something up as you go is a great way to de-stress! Consistently picking up an instrument and jamming out, even if you’re not directly experiencing signs of stress, can help rewire your brain to be able to draw from these times when stress does come up. If you regularly deal with stress consider making music a regular part of your life. Whether you are playing music or just listening to it, the benefits are sure to be worthwhile.